An exclusive offer from male grooming experts, Pall Mall Barbers for tenants of St Botolph’s Building. £5 off all services at Pall Mall Barbers Bishopsgate. Simply show this flyer and your blue discount card at reception. If you require any more information, please email tom@pallmallbarbers.com. 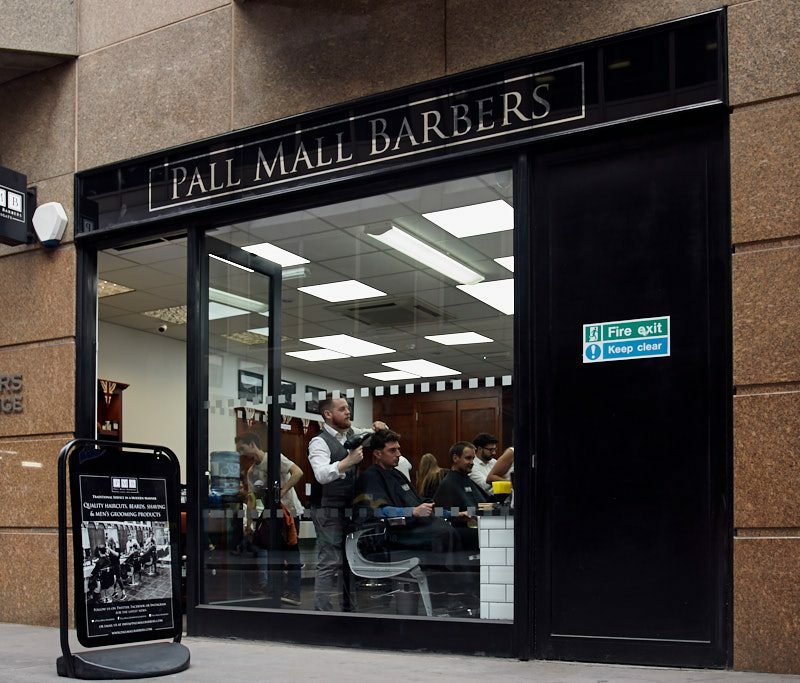 Pall Mall Barbers is the one of the oldest and most respected barbershop businesses in London. Serving the Capital since 1896, Pall Mall Barbers is a name synonymous with men’s grooming, providing the best mix of old school service for the modern man. With a treatment menu including the sharpest haircuts, finest traditional wet shaves and beard trims using Pall Mall Barbers’ very own award winning product range, it’s an experience that seamlessly blends tradition and history with excellence to provide the very best service around.